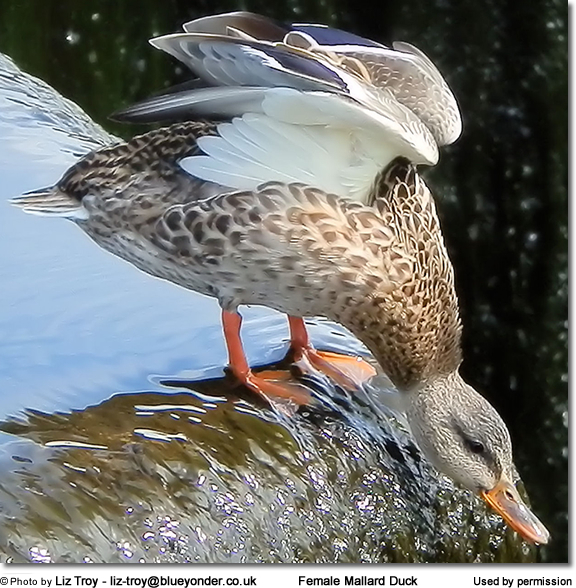 This amazing photo of a Mallard female was taken by Liz Troy at Strathclyde Park. Motherwell. The mallard perched on edge of overflow into river Clyde and photographer managed to capture it as it prepared to fly off.